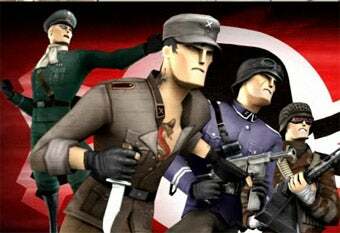 The cartoonish, free-to-play, web-based iteration of DICE's Battlefield series has quietly slipped out of beta, with Battlefield Heroes now available for anyone willing to partake. I've found no big launch announcement, and other than the new trailer on the front page of the site, it doesn't seem like much fanfare is being made. If you would like to play, feel free and head on over and knock yourself out. Just be quiet, because we don't want to accidentally wake up the marketing team.